Ever-lovable actor Tom Hanks might seem invincible — with his still-bright star wattage, effervescent charm, and brimming Oscar talk — but it turns out the Captain Phillips star is coping with an ailment when not entertaining fans on late night talk shows. On Monday's episode of Late Show with David Letterman, the star announced that he's suffering from Type 2 diabetes. 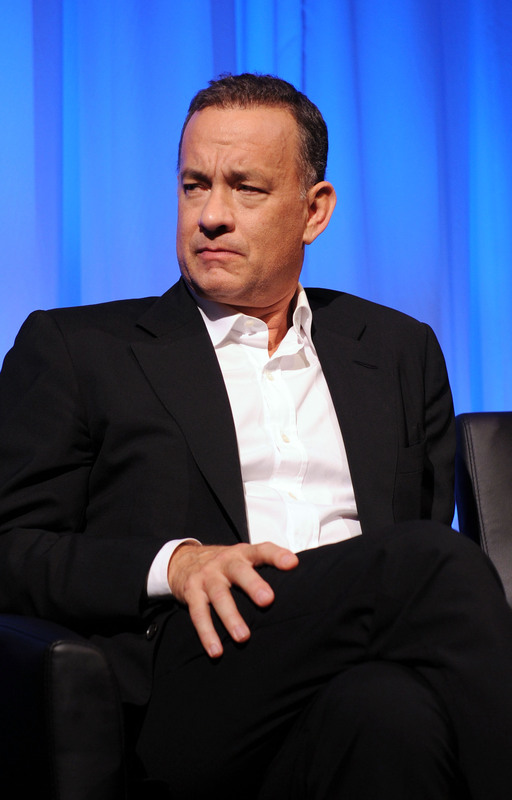 The actor said his doctor informed him of the diagnosis after Hanks spent years suffering with high blood sugar counts. But the actor is hardly worried about his future. Said Hanks to Letterman, "It's controllable. Something's going to kill us all, Dave." Indeed, the diagnosis is hardly grim — type 2 diabetes is known as the most common diabetes diagnosis. In fact, many other members of Hanks' celebrity kin suffer from the disease: Drew Carey, Sherri Shepherd, and fellow Oscar winner Halle Berry all have type 2 diabetes. More of an issue for the Captain Phillips star? His doctor's insistence that he "weigh as much as you weighed in high school" to overcome type 2 diabetes. But since Hanks weighed 96 pounds and "most of that was that big white Afro that I wore back in the '70s," Hanks has accepted his diagnosis. "Well, I'm going to have type 2 diabetes," he said.